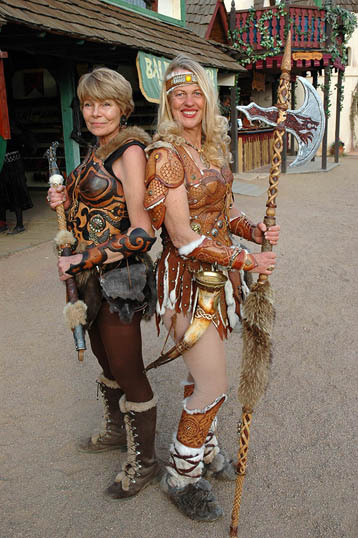 Barbarian Women ready to kick some behind big time! 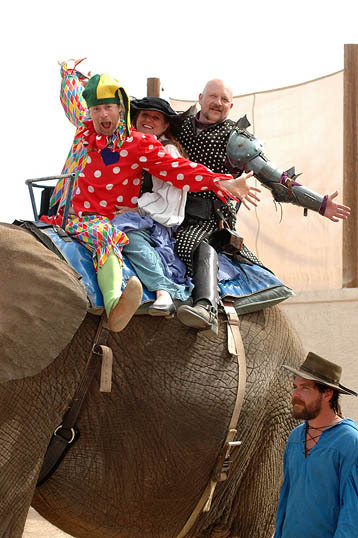 Phil, Dawn, and Lee take a ride on one of the three elephants! 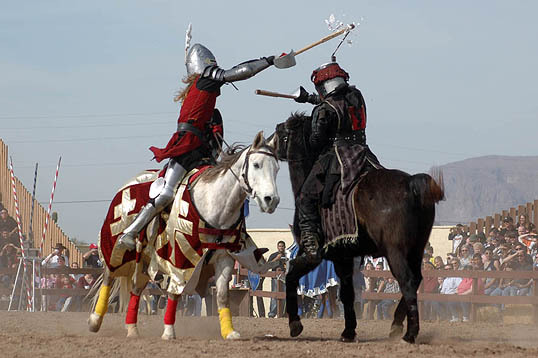 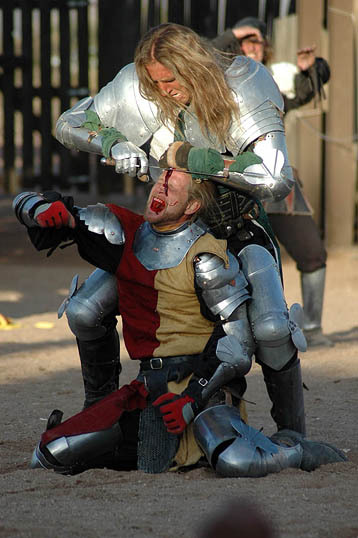 The Spanish Knight, whom I have seen perform with the Knights of Avalon at Shrewsbury, is defeated in the horse-to-horse as the English Knight takes out his crest. 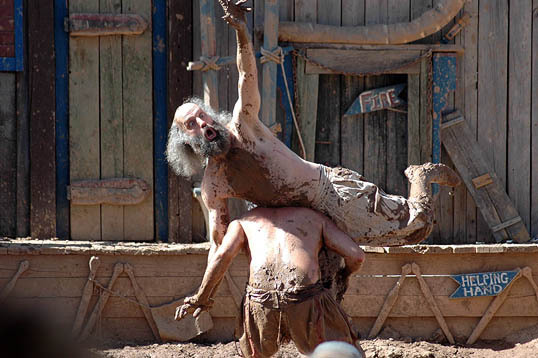 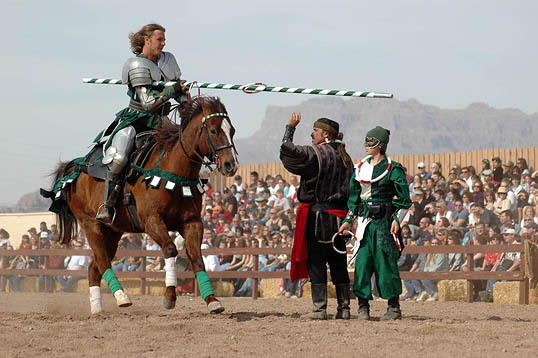 The Joust begins as the Hanlon-Lee Action Theatre troop take to the field. 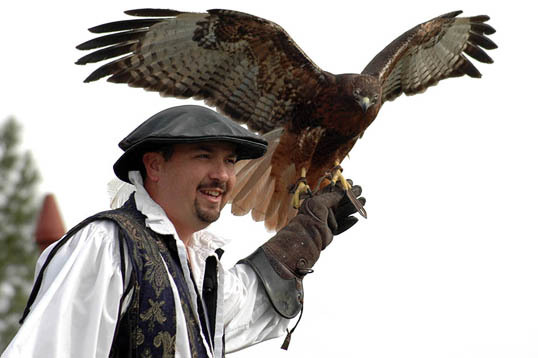 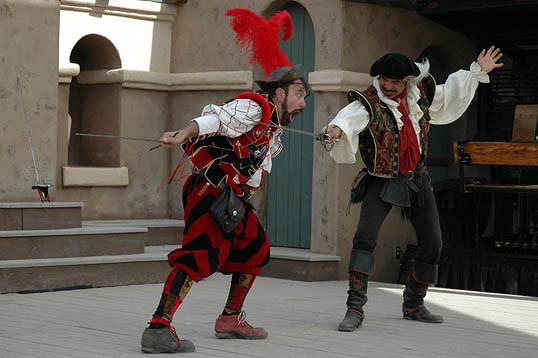 Don Juan and Miguel put on quite a fun show! 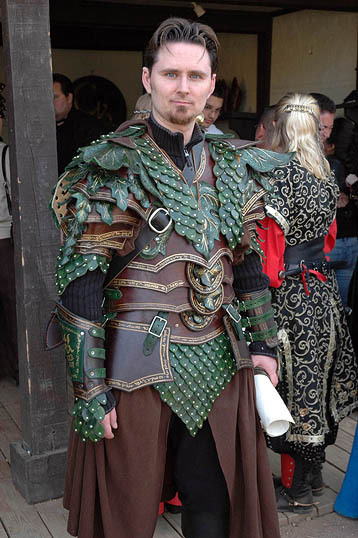 Lauri and Mary examine the Goblin King's... armor! 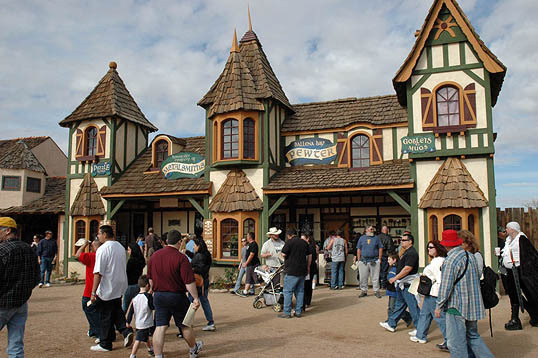 More fantastic buildings! 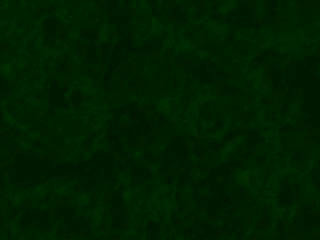 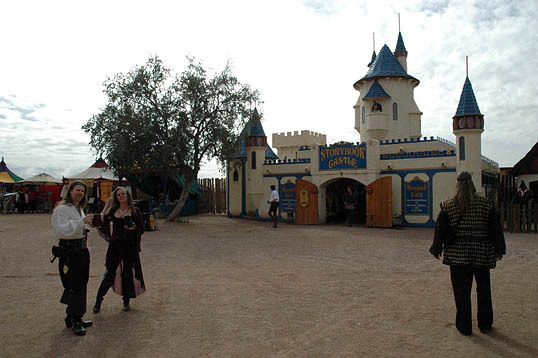 And this site was huge too!! 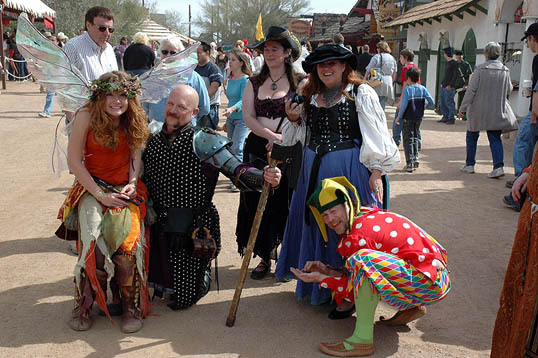 Lee, Shannon, Dawn, and Phil with the signature orange Fairie of the Arizona Renaissance Faire! 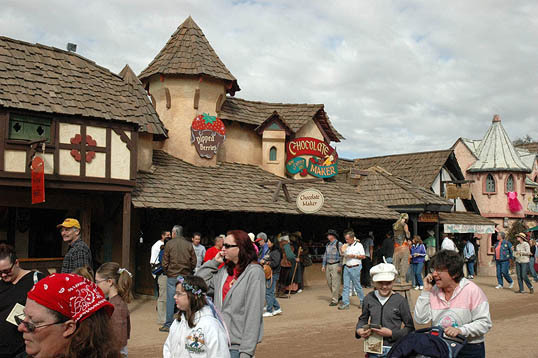 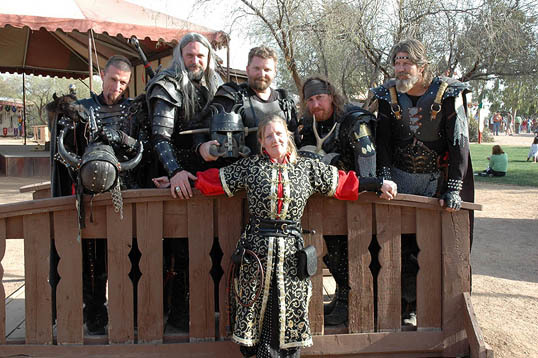 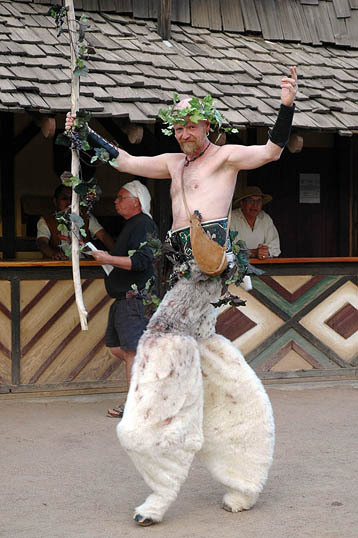 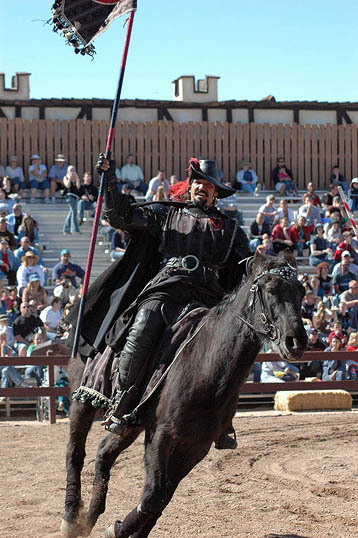 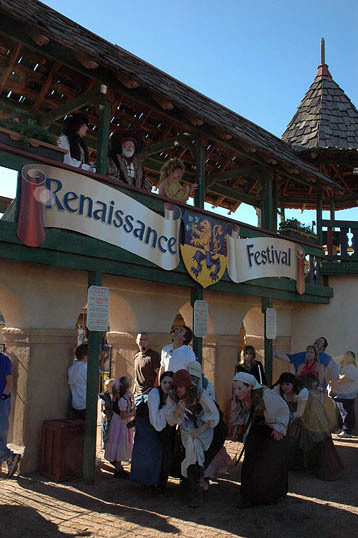 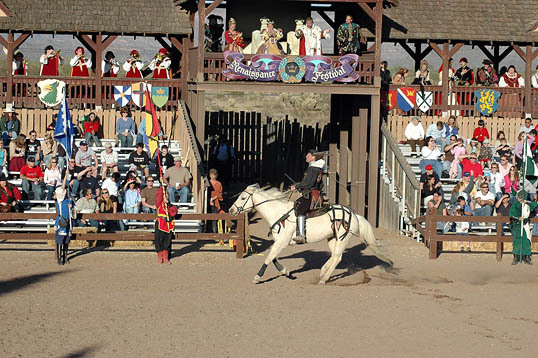 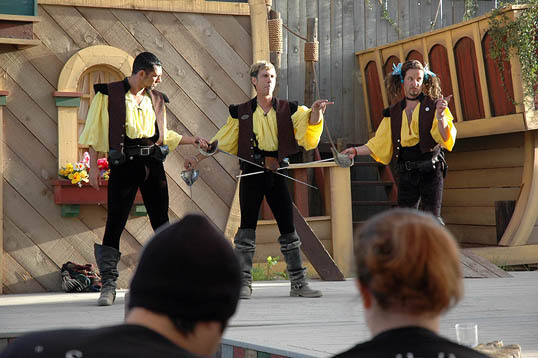 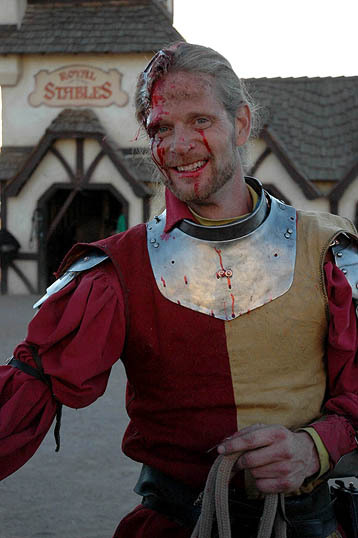 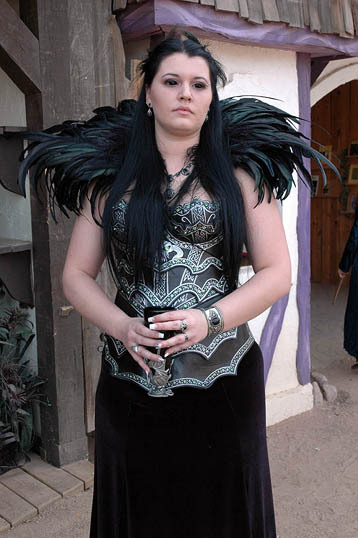 The entrance and part of the pre-show to the Arizona Renaissance Faire!